Kale is available at most grocery stores in the produce section. Some stores, like Whole Foods, will carry organic baby kale in tubs. If you don't find it at the super market, look at farmer's markets. In the above video, she mentions in the video that kale has protein. All dark greens have protein. In fact, all raw foods have enzymes which your body turns into protein effectively. Kale protein (and the protein from all leafy greens) is the best sort of protein. It is the most readily utilized by the body. Eating raw foods (that are thoroughly chewed) is easier on your entire body. You do not need protein powder: you need kale. I adore making kale chips at home. You can buy them pre-made at the store or online, but they're generally very expensive. It's much more cost effective to go ahead and buy a dehydrator and make your own batches of kale chips regularly. Kale chips from the store generally range from $6 to $8 for 2.5 ounces to 3 ounces. That is around $2.50 per ounce. In my dehydrator I can fit two bunches of kale (which costs me $3 per bunch for organic kale at my local Co-Op, but I've seen organic kale bunches for $2 fairly often) which we'll say costs $5 on average. I use $1 to $3 on spices and foods to flavor the kale, so we'll call that $2. So I spend $7 for a "batch" of kale chips. My "batch" of kale chips would easily fill at least four of the 3-ounce kale chip bags at the store. Which means I'm spending $7 for four times the amount of kale chips. Besides, I can invent many more flavors than I could ever purchase. However, if you're only interested in consuming a tiny bag of kale chips once a month, then spending $250 on a dehydrator would take years and years to pay for itself. I personally don't like plain kale, but a marinated kale salad is wonderful, and I also love kale chips. I also find kale tolerable once it has been juiced with fruits. You don't have to like plain kale to benefit from it's power. From Dan, the man with a plan A.K.A. The Life Regenerator – Can you dig it? Dan also mentions protein and amino acids. This is because people today have been so continually lied to about protein that they believe they need to worry about it. Unless you're deficient in calories, or deficient in raw food, you are not deficient in protein. We create protein most effectively when we eat raw food. It is unnecessary to eat "already formed" proteins in nuts, meat or beans. Our body doesn't have a use for ruptured cooked proteins. That juice Dan is making in the video above is a better source of nutrition than anything any scientist could come up with. "Strengthen your teeth with kale," Dan says. It's actually been shown that chewing on green leaves is the best way to clean your teeth. Kale or borecole is rich in numerous health benefiting polyphenolic flavonoid compounds such as lutein, zeaxanthin and beta carotene. 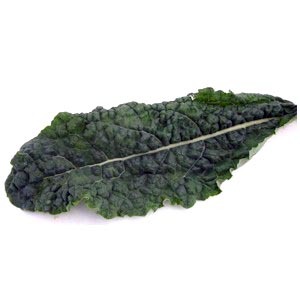 Kale is widely cultivated across Europe, Japan and the United States for its "frilly" leaves. Kale belongs to the “cabbage” (brassica) family. It is similar in growth and appearance to collard greens. Botanically, borecole belongs to Brassica oleracea (acephala group) and is closely related to broccoli, cauliflower, brussels sprouts etc. From John of "OK Raw"
John Kohler I had the fortune to meet in person at a rawvegan potluck in San Fransisco. John is absolutely correct about growing your own kale, and your own garden in general. The moment something it is picked, it starts to die. That dying process is decaying work done by enzymes. Enzymes are meant to ripen fruit, and break things down. Enzymes are what digest – break down – your food. Enzymes are most vital – most powerful – while the plant is still growing. Ideally we should eat food the moment it is picked, just like every other animal on the planet. Notice in this last video John Kohler uses all his own home-grown ingredients. I have so much respect for that, and that is my own goal. I challenge you to make it your goal.